Read 6 times. Last read May 21, 2011 to May 20, 2012. 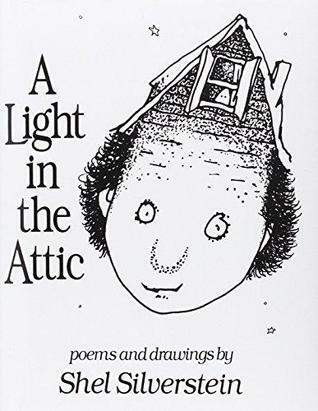 In the pantheon of literature shaping my nascent creative flicker, Shel Silverstein remains a master of lunacy and language. Long after losing my appetite for R.L. Stine's "Fear Street" or the frightful suspense of Alvin Schwartz' "Scary Stories to Tell in the Dark", Silverstein's whimsical passages continue to invoke nostalgic and thoughtful reflection. Of "The Giving Tree", my mother echoes the undeviating refrain that it is a woeful fable of an ungrateful child and a loving, long suffering parent. I respond with a nod of agreement and apology having learned better than to quarrel with her interpretation of that particular work. His deeply imaginative ideas combined with a rich awareness of words to craft a collection of clever cerebral exchanges. Silverstein chose not to endeavour making sense of the utter nonsense which exists in the dreams of children. In his poems and illustrations, there resides an inquisitive surreality of characters and circumstances which are at times morbid, silly, unusual, somber, capricious, self indulgent or inappropriate. That array of attributes represented a wider spectrum than most children's literature of his era had considered yet all were qualities of which any child might be possessed. If confusion arose as to the meaning of any given story, there was no discernible moral interpretation at the end. He trusted that children could ask questions and sort out those quandaries on their own. What if they could send away in the mail for a new set of parents as does the young man in "Clarence"? Is it such a terrifying thought that every child might at some moment dislike their parents? Or desire to join the UCR (Union for Children's Rights) and dispense with performing chores until their demands are met? Silverstein wrote in the tradition of the grand triumvirate alongside Seuss and Sendak. Authors of juvenile literature who were unafraid to stretch and layer their passages into the space of fascination and fantasy. Could those arcane worlds engaged in Harry Potter or "The Hunger Games" exist without the precedent laid by the dragon of Grindly Grun, the Gooloo bird or the quick digesting Gink? Sign into Goodreads to see if any of your friends have read A Light in the Attic. 40.0% "Silverstein can be an especially difficult read when one has spent a lifetime having their language skills battered into shape by each gruesome guardian of the English oral tradition. He has such random meter and loose leaning prose. One imagines while reading that they are attempting to speak another language entirely and surely I realize now that he inspires the same confusion as reading Pablo Neruda in Spanish."